When visiting Small Axe Kitchen, most people recommend ordering the breakfast pasta, so naturally my mind was set before I even arrived at the Sicilian influenced cafe. However, upon reviewing their menu it became apparent that they have a good selection of appetising dishes that appealed to me just as much, if not more than the pasta. Growing up in a traditional Sicilian family, eggplant was a staple in our household and as such, I’m a sucker for the purple veg. 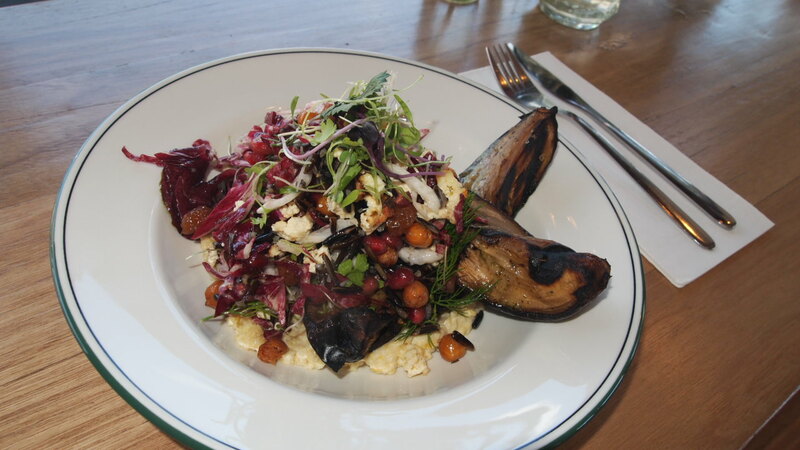 So there was no questioning it, I had to have the eggplant salad with almond hommus, chickpeas, pickled raisins, baked ricotta and pomegranate. I love eating dishes that are like nothing I’ve had before or that I couldn’t easily replicate at home. The eggplant salad was that to a tee. Texturally varied and balanced, this was a whole new food experience for this seasoned foodie. The perfectly cooked eggplant maintained its structure but still melted away as I ate it. 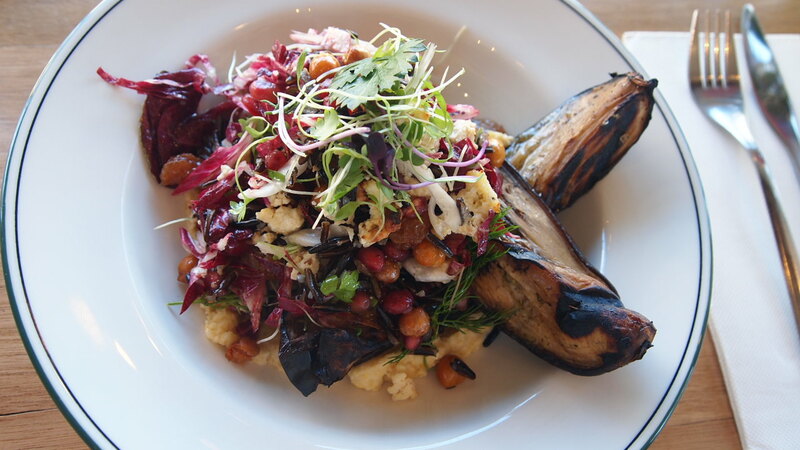 The hommus was grainy but flavoursome and accentuated the flavour of the eggplant. Then there were the chickpeas which were crunchy like those purchased in a nut shop, but so much better to eat, and the pieces of pomegranate that provided bursts of sweetness. I’ve never eaten pickled raisins before but they were a nice addition and rounded out the dish well. All in all, it was light and fresh, but could easily double as hearty comfort food. I must say, I really really enjoyed this meal and went on to tell just about anyone who would listen about it for the better part of a week. 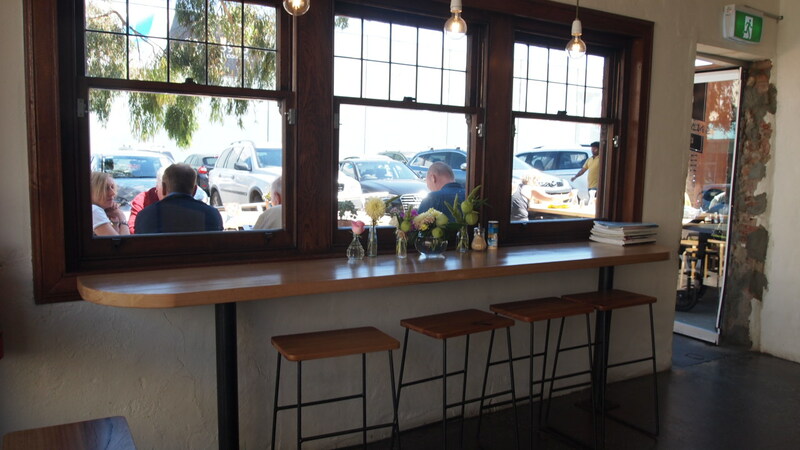 The beautifully appointed space is well lit at the front and a bit moody in the back with ample outdoor seating. Simply decorated with fresh flowers and subtle Italian items like Sicilian sea salt and Felice Auzzuro hand wash in the bathrooms. 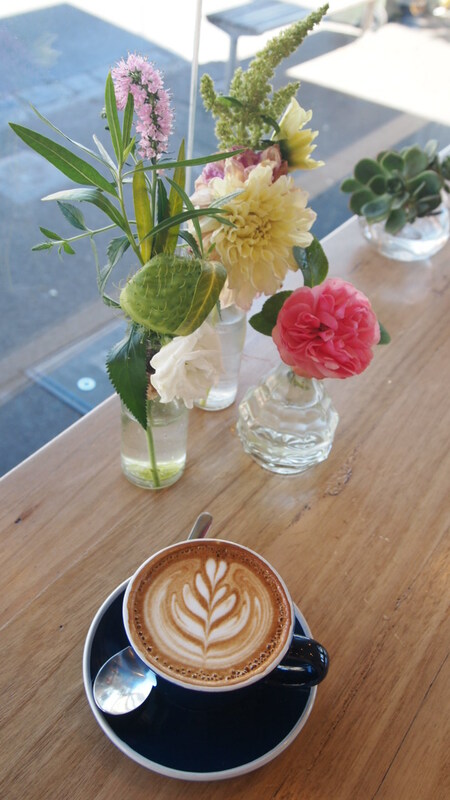 Upon first glance you’d have no idea that this cafe drew inspiration from Sicily, but my seasoned eye spotted the Caretto on their business cards and it immediately felt like home. Looks like somewhere I’d like to visit!